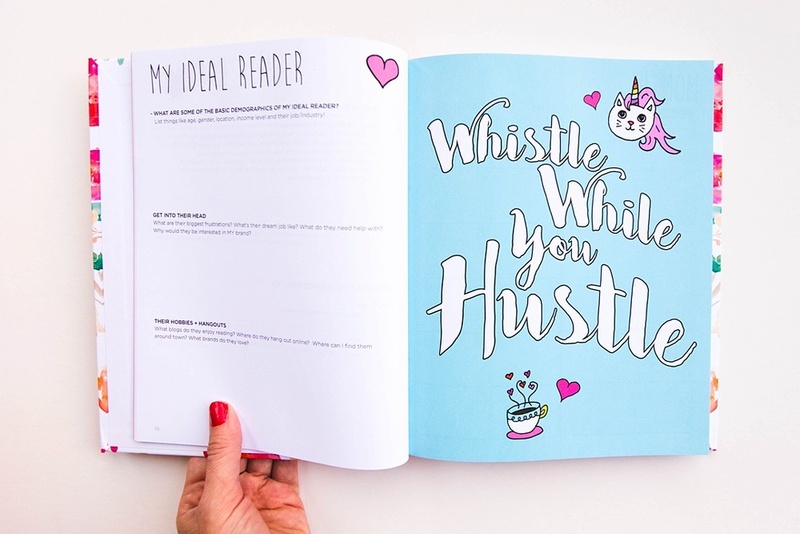 Wonderlass - The Blog + Life Planner is Here! Oh my goodness you guys, I am SUPER EXCITED because today I am launching my FIRST ever tangible product: The Blog + Life Planner! who DOESN'T want to look at unicorns and rainbows while doing some planning? This planner has literally been simmering inside of my brain for 2 years. And to finally hold it in my hands? I've been obsessed with planners since high school but have never truly found a planner that both looks AND functions how I want it. I've been running my own business full-time for the past 6 years, so finding a planner that has the planning capabilities for both life AND business in the same spot has been difficult. Plus, over the past year I've discovered the importance of having a blog planner too. So for the past year I've been using THREE different planners; an awesome life planner, an awesome blog planner and a notebook that has everything that those 2 planners don't cover! Three planners is TOO MANY, you guys. Which is why I decided to create my own! Care to take a peak at the Blog + Life planner? (Aka my baby?) Here you go! 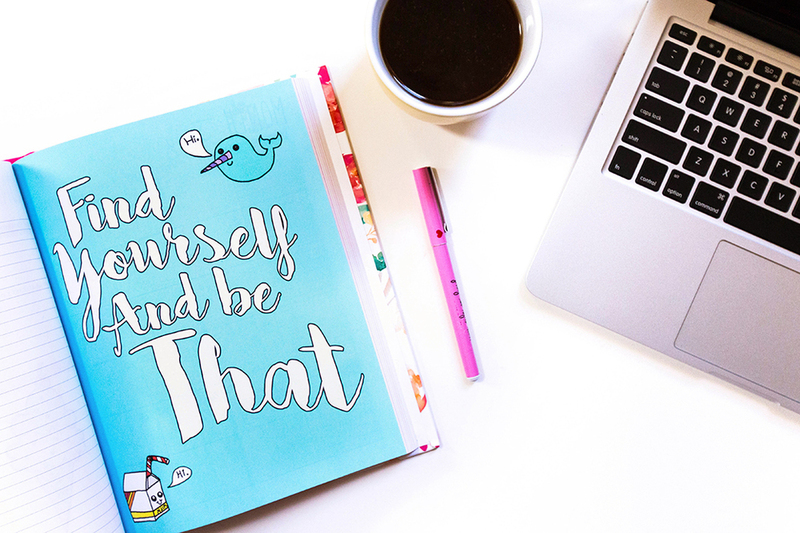 I wanted to create a fun, colorful and quirky planner that I could plan blog and business tasks in as well as personal life stuff! Get my drift? No more having to use THREE planners to get everything I need! As well as space to record thoughts about your ideal reader! 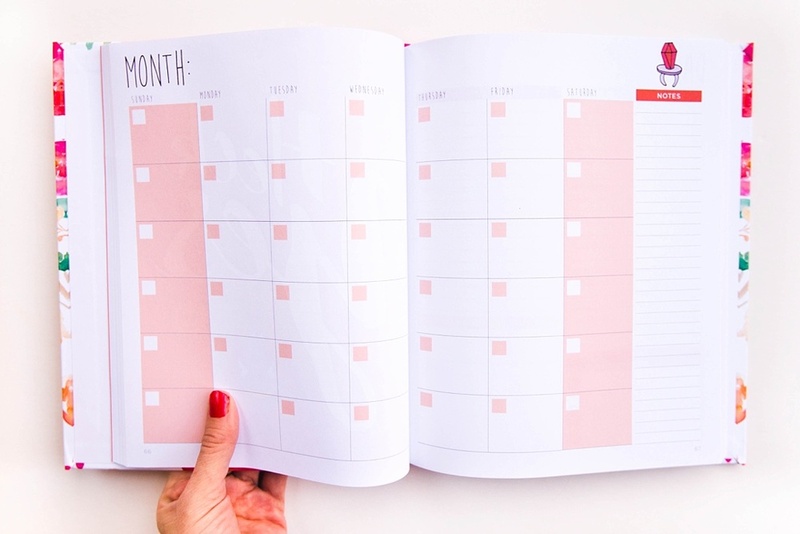 At the beginning of each month, you have a lovely calendar overview where you can write down your blog's editorial calendar and/or important life and business tasks, plus space to jot down some notes! For each week you have space for a personal to-do list, a business to-do list, e-mail content ideas, social media marketing ideas, goals, reminders and of course blank space to record specific tasks on specific days! 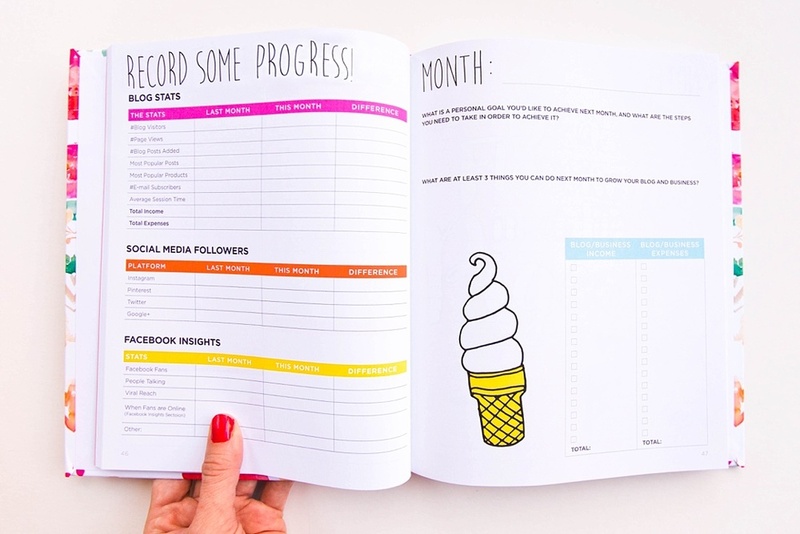 At the end of each month you've got space to record progress, income and expenses as well as some questions to think about for personal goals you'd like to achieve and ways to grow your business! At the end of each month there's also more space for notes! Plus the whole planner has got color and quirk throughout, of course! 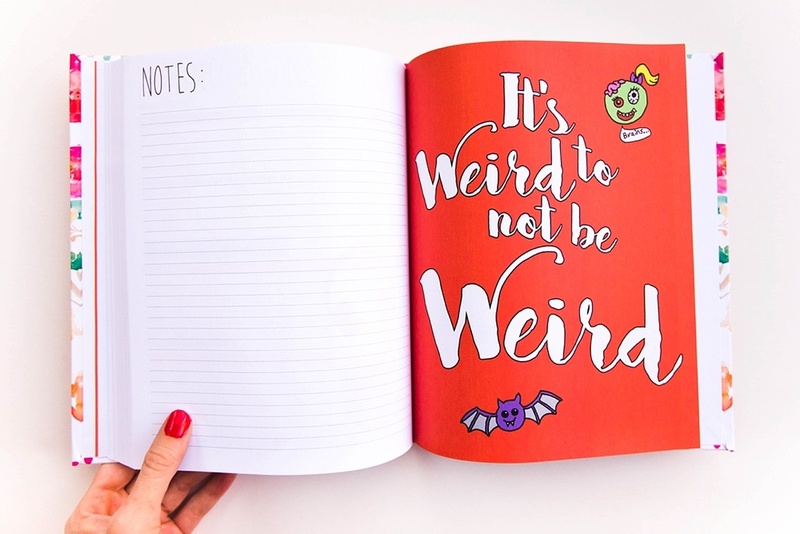 Yes, this planner contains the "F" word. But only once, hehe. Oh!!! And there's lots more pages for notes (or whatever you'd like to use them for ... blog post ideas, doodles, etc) at the end of the planner. Woot woot! I am incredibly excited to sit down with this planner (with a tasty espresso drink, of course!) to set some new goals for 2016. So much thought went into this planner and I had such a fun time working hard on it! This baby is an 8 x 10, hard cover, full color and 227 pages of year-planning goodness! 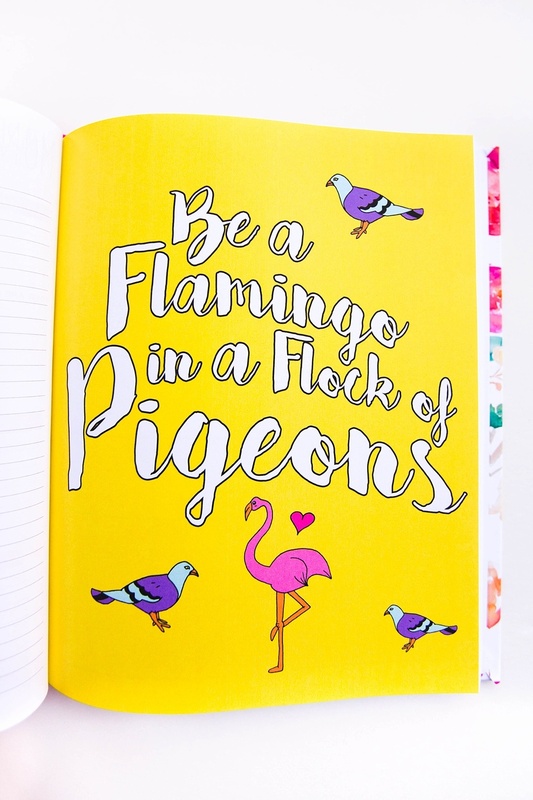 If you'd like to purchase this planner, you can do that by clicking right here! Also PLEASE NOTE: This planner is totally available for shipping outside of the US to practically anywhere! Knowing that this planner is getting people excited and helping them out is truly the BEST FEELING EVER!!! I appreciate your support and I hope you enjoy it as much as I am! Feel free to share photos of yourself using the planner on Instagram using the hashtag #wonderlassplanner, I'd SUPER LOVE TO SEE THEM!! !